Union Minister of State for Home Affairs Kiren Rijiju flagged off Delhi Movelo Cyclothon organized by NITI Aayog at the national capital. He also urges to make cities cycle friendly. "With the Movelo Cyclothon, NITI Aayog is introducing the people of India with the future of mobility. 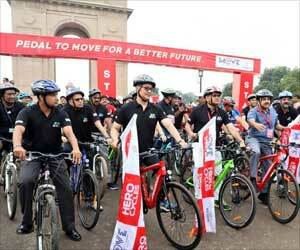 Let us together make a move for better cities and a better India," the minister said while interacting with the crowd at Delhi Movelo Cyclothon at India Gate. He expressed his happiness to flag off and also joined the cyclothon organized by NITI Aayog, thanked Hero Cycles for their support and the enthusiastic cyclists for their participation. NITI Aayog has organized the cycle rally to promote cycling and raise awareness about its role in mobility. NITI Aayog CEO Amitabh Kant tweeted: "Phenomenal experience! We need to move people, not cars. Cycling is the way to go for a healthier life and a less polluting city. Cycling lanes are a must for Indian cities." 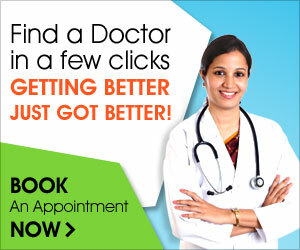 He said that Rijiju was one of the fittest ministers. "Cycling is the future of India, and I am delighted to see such a great turnout at Movelo Cyclothon," he said. Children, senior citizens and people from all walks of life gathered at the Movelo Cyclothon.